Zoysia is a particularly hardy grass that grows well in a wide range of conditions and requires far less watering and mowing than most grasses. 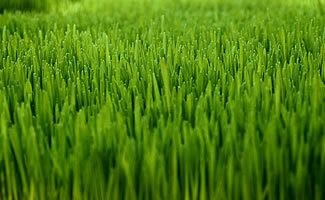 At the same time, this “tough” grass creates a thick, soft carpet that feels great in bare feet. Zoysia is ideal because it actually grows differently. It sends out runners or “stolons,” expanding sideways more than it grows tall. This is why it is so dense and effective at choking out most summer weeds and replacing existing grass. With our superior blend of zoysia, you can plant a network of plugs in a new or existing lawn and it will grow into a lush, even, weed-free lawn within several growing seasons. 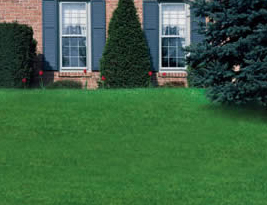 -Reduces mowing by two-thirds: The lateral growth of zoysia means it grows tall very slowly – most people mow zoysia once for every three times they need to mow other grasses! -Zoysia thrives in heat and cold: The hotter it gets, the better it grows. Zoysia loves blistering heat and yet it won’t winter kill either – it can survive to 30° below zero. It’s perfect for extreme conditions as well as mild climates. -Chokes out crabgrass and weeds all summer long: Your established zoysia lawn grows so thick with deep roots that crabgrass and other weed seeds cannot germinate. -No more chemicals: Since zoysia naturally resists insects and diseases, you avoid the cost, time and risk of exposing your family and pets to weedkillers and pesticides. -Never needs replacement – even heals itself: It’s beautiful and tough. The way it naturally grows outward along the ground in all directions, zoysia grass acts like a network of plants that can withstand heavy use, and will fill in if damaged. -Zoysia is THE answer for slopes, play areas and bare spots: You can't beat zoysia for hard to cover spots, worn areas or to end erosion on slopes. It even levels out ground irregularities. You don't pamper zoysia - You enjoy it! Once plugged into bare soil or an existing lawn, an established zoysia is a very hardy grass that can handle extreme temperatures, a wide range of soil conditions, requires little water and needs only a few hours of sun. Zoysia is also particularly well-suited to hills and slopes. Zoysia can survive the harshest of winters and will regain its lush green color when ground temperatures reach about 50° in the spring. While it is dormant, zoysia remains thick and full as ever and requires no maintenance. When you’re ready to enjoy the outdoors, your zoysia will be ready, too! Getting zoysia seed to grow is difficult. As hardy as zoysia is once it starts growing, it takes a lot of work to germinate zoysia from seed. Even then, seed tends to produce lower quality turf stands – grass that is more coarse and uneven. Attempts to produce zoysia grass seed that spreads quickly and stays green longer do so by sacrificing winter hardiness. Living plants – plugs work better because no seeding is required. Many people don’t discover zoysia until after they have suffered seasons of frustration working with other grasses from seed – preparing the ground, watering and fertilizing endlessly, only to produce spotty results. Grass seed washes away, birds eat it, and even when it works, the grass isn’t nearly as strong and thick as zoysia. While plugs may appear to be a little more effort than seed at first, they quickly pay off in stunning results and permanent low maintenance. Zoysia grass is easier too because you don’t have to remove the old grass; you simply place plugs at one-foot intervals and it will grow together, replacing summer weeds and other grasses in its path. The nature of zoysia and starting from plugs also make it ideal for heavy use areas and hills or slopes – places that are nearly impossible to seed.